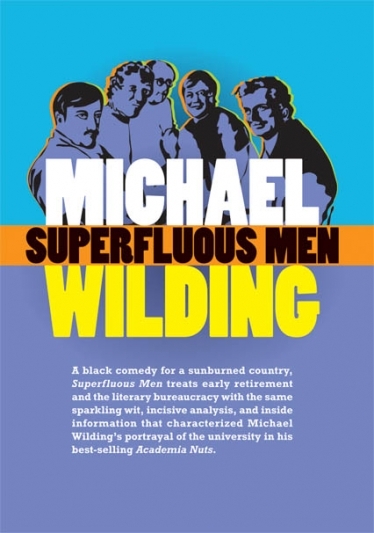 A black comedy for a sunburned country, Superfluous Men treats early retirement and the literary bureaucracy with the same sparkling wit, incisive analysis, and inside information that characterized Michael Wilding’s portrayal of the university in his best-selling Academia Nuts. Henry, Pawley and Dr Bee of Academia Nuts have taken early retirement. But what awaits them? Does anything? Pawley buys a dacha high in the Valley of the Weed. Dr Bee cruises the shopping malls. Henry is lured by the Director of the Writers’ Centre to be her Chair. Vistas of arts bureaucracies lie all before them. Michael Wilding has been a milkman, a publisher, a fellow of the Australian Academy of the Humanities, a Cosmopolitan bachelor of the month, an apple-picker, a newspaper columnist and a professor of English.